Right now I've just finished Jigoku Shoujo Season 1 and I am now watching another anime- Sankarea. Its an anime about a guy who had a resurrected zombie girl as her girlfriend. Weird, eh? Well really, I am trying so hard to keep life less complicated and less serious so I watch more anime than usual. Its like my therapy to get myself out of the reality. Anyhow since its Friday I finally get to wear something less formal, its wash day. Who else loves wash day? Since I felt I have more time today to put on makeup I used mascara. Eyes might be the windows to ones soul but I don't have a lot of time during the mornings to primp and prettify. Might as well go out bare face but I don't have the beaming confidence yet. 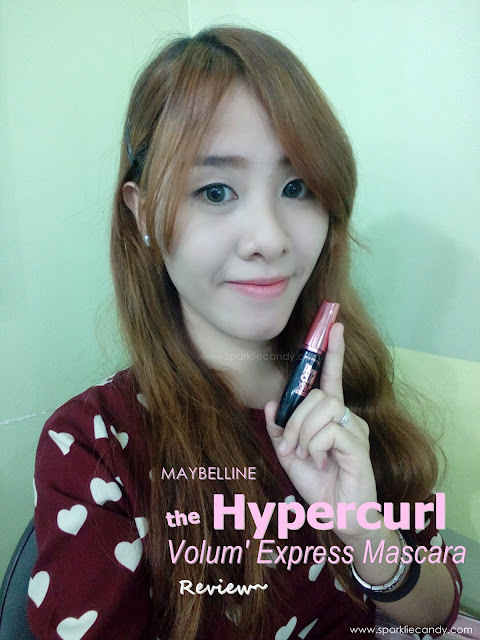 So that is my hint, the review for today will be for Maybelline Hypercurl Volum' Express Mascara. 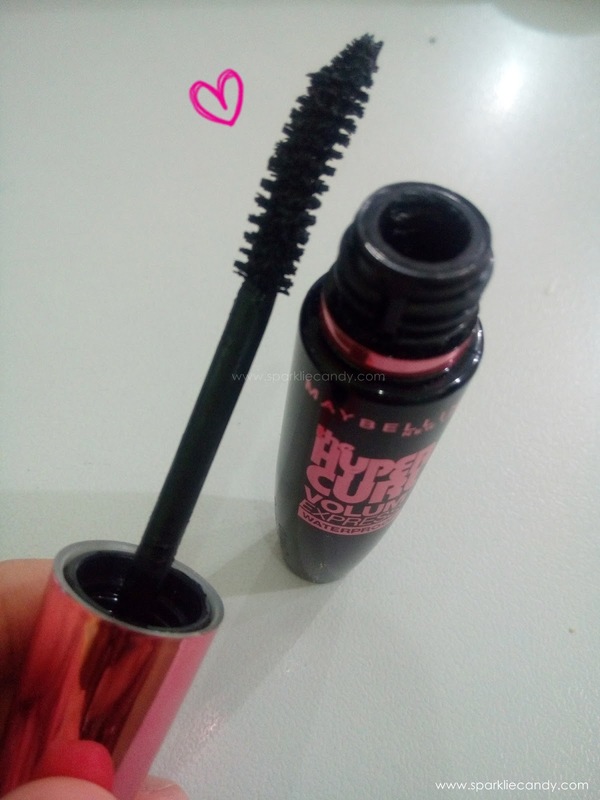 Basically this mascara is P199 but the price lowered down to P149! Maybelline is popular for their very nice mascaras. They can't go wrong even for low-priced variants, can they? L-O-V-E. The black and pink metallic color stands out- a lot. The color combination is feminine yet strong. I don't usually put mascara unless its a special occasion or I feel like I have all the time in the world like this morning. 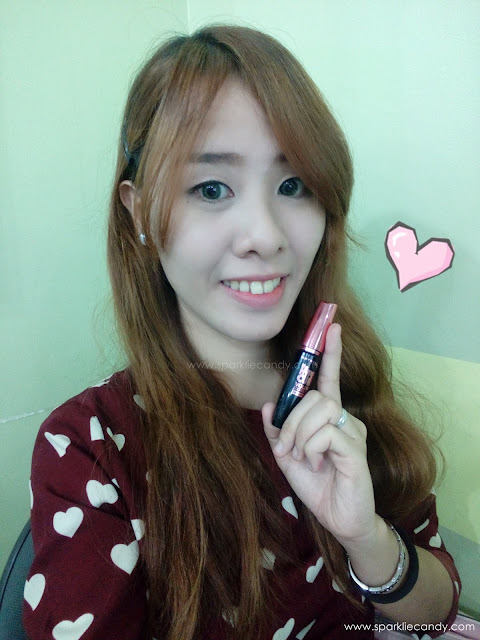 First I curled my lashes and applied one layer with zigzag motion to make sure that my lashes is evenly coated. I add another layer to add more volume and length. What I noticed is that unlike my old mascaras, Maybelline stays the whole day without product fall out. It even feels light like its not there. It also didn't smudge despite the humid weather and sweat from my daily commute. I even used this on my lower lashes and surprise surprise, I didn't looked like a panda at the end of the day. Its waterproof as well which means you will need to use makeup remover to get it off. No filter picture below, comparison of with and without mascara. My lashes is naturally short, and yeah I had a breakout prior to this, well pimples hello. Its on sale at only P149 for a tube (its originally P199). A mascara can only last 3 months after opening, I suggest to not splurge on mascara and besides there is no reason to because Maybelline Hypercurl Volum' Express Mascara is cheap! The curved wand and short bristles!